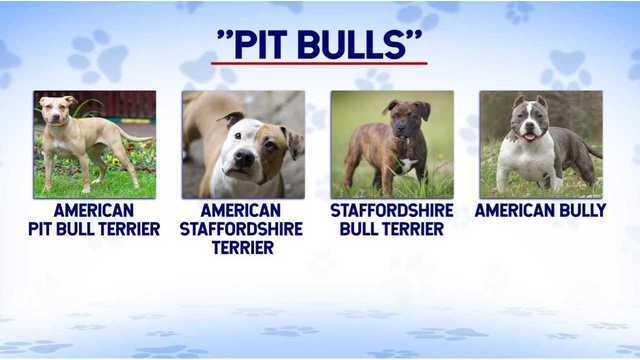 NASHVILLE, Tenn. (WKRN) — "Pit bull" is not a breed. According to the American Veterinary Medical Association (AVMA), it is an ambiguous term made up of a range of bully breeds including American Pit Bull Terrier, American Staffordshire Terrier, Staffordshire Bull Terrier and American Bully. “People want to, I guess, stereotype the square face and the stockiness as a pit bull, but there’s so many different breeds within the classification of what people think are pit bulls," Christine Caldwell, who exclusively trains and cares for dogs of the bully breeds, told News 2. "I just got done fostering my 39th pit bull," Caldwell added. She said she noticed more bully breeds in the animal shelters where she volunteered and felt compelled to help. “I just wanted to be that advocate and show them that you can be loved and that there are people out there that will love you," Caldwell explained. She even chose to adopt her 18th foster, Gracie, an American Staffordshire Bull Terrier. Caldwell said pit bulls, and the bully breeds, have had to overcome unfair stereotypes and misconceptions including those about their level of aggression. Dogsbite.org, used nationwide in the reporting of violent dog-related incidents, reports there were 39 fatal dog attacks in the United States for 2017. The site shows pit bulls played a role in 74%, or 29 of those, while the next closest were German Shepherds at four. 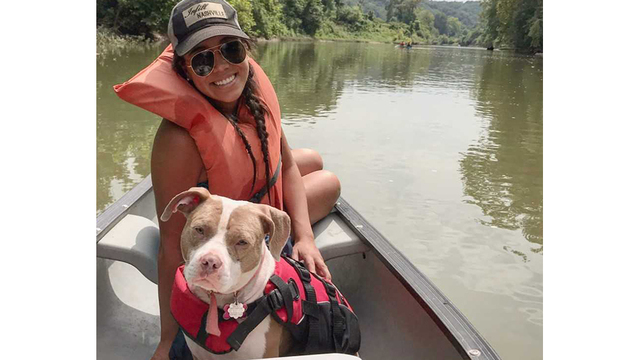 The AVMA is quick to point out that controlled studies have not identified pit bulls as "disproportionally dangerous" and a 2013 study on fatalities found breed determination was only possible for about 17.6%. 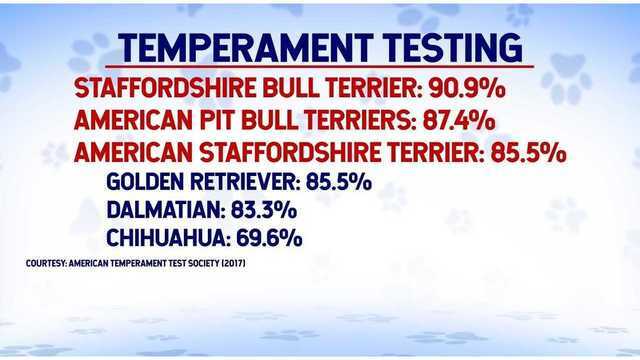 The American Temperament Test Society tests the temperament of various dog breeds. American Pit Bull Terriers have a pass rate of about 87% with other bully breeds scoring about the same while Golden Retrievers, Dalmatians and Chihuahuas scored the same or lower. Caldwell feels fear over the pit bull and bully breeds are based on a lack of education. Caldwell has made it her mission to help educate people and prevent the furthering of what she calls "misconceptions" that could harm a dog's chances of finding a forever home.